Save Additional $140.70 When Paying With Bank Wire. You pay $4,549.30. Stainless steel case 49 mm in diameter. 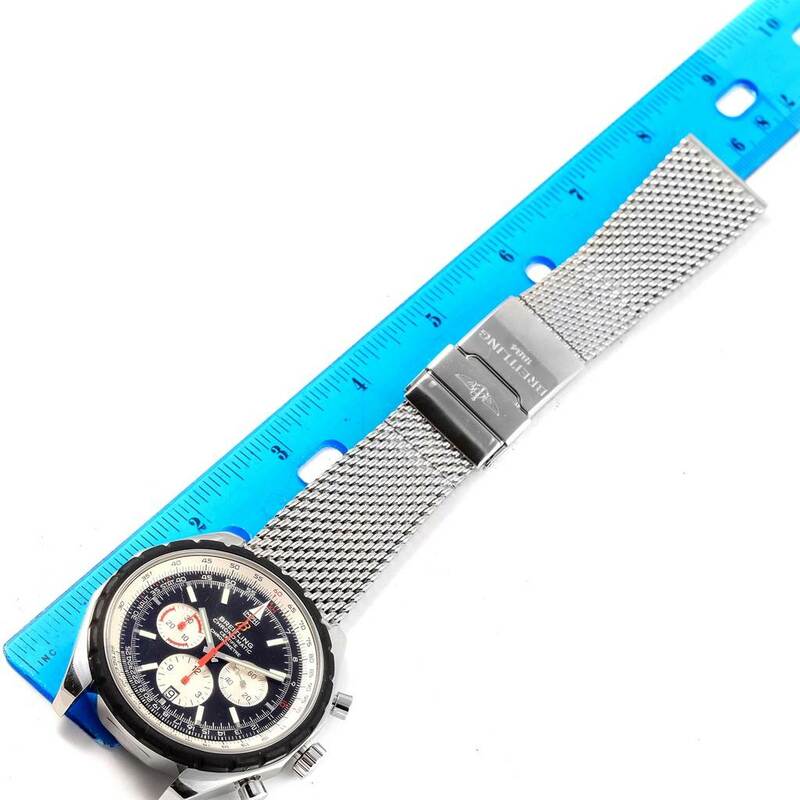 Stainless steel bidirectional revolving reeded slide-rule pilot bezel with black PVD ring. Black dial with silver subdials. Index hour markers and luminescent stainless steel outlined hands. Stainless steel mesh bracelet with fold over clasp. Fits 8" wrist. 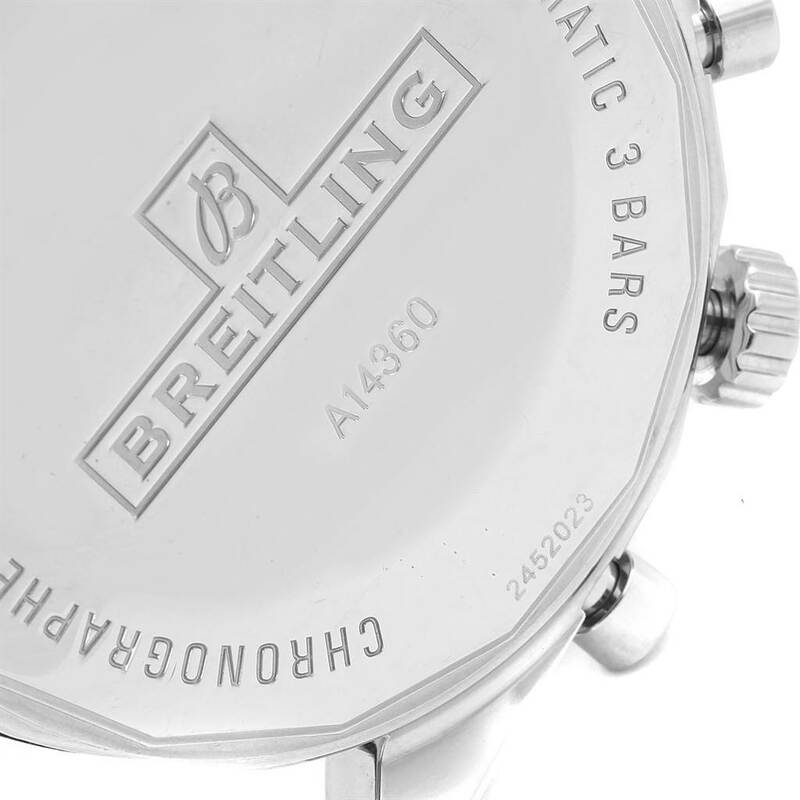 Breitling Chronomatic Chronograph Mens Watch A41360. Self-winding automatic officially certified chronometer movement. Chronograph function. Stainless steel case 49 mm in diameter. 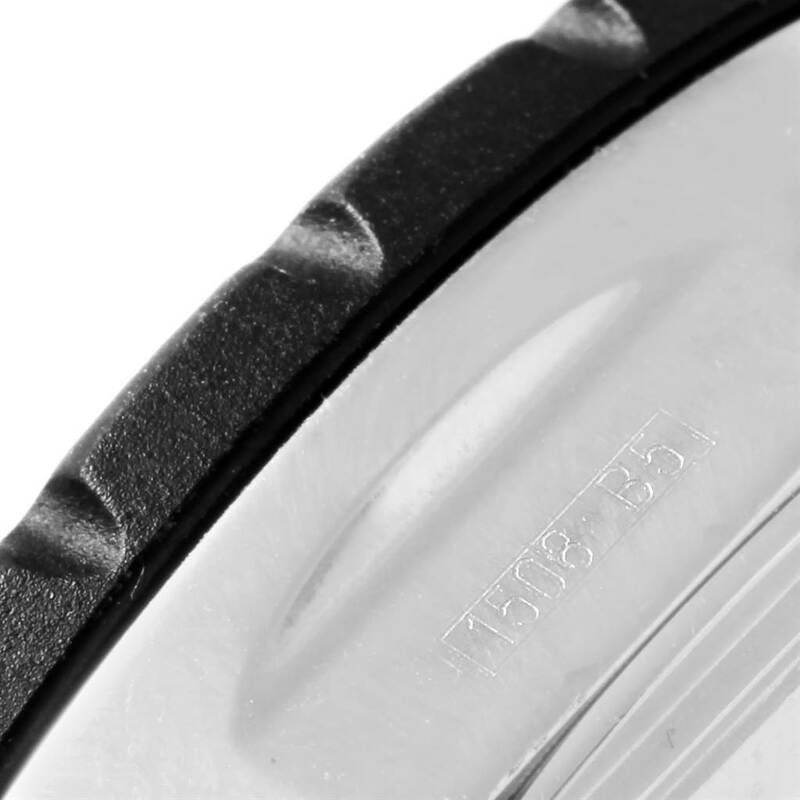 Stainless steel bidirectional revolving reeded slide-rule pilot bezel with black PVD ring. Scratch resistant sapphire crystal. Black dial with silver subdials. Index hour markers and luminescent stainless steel outlined hands. 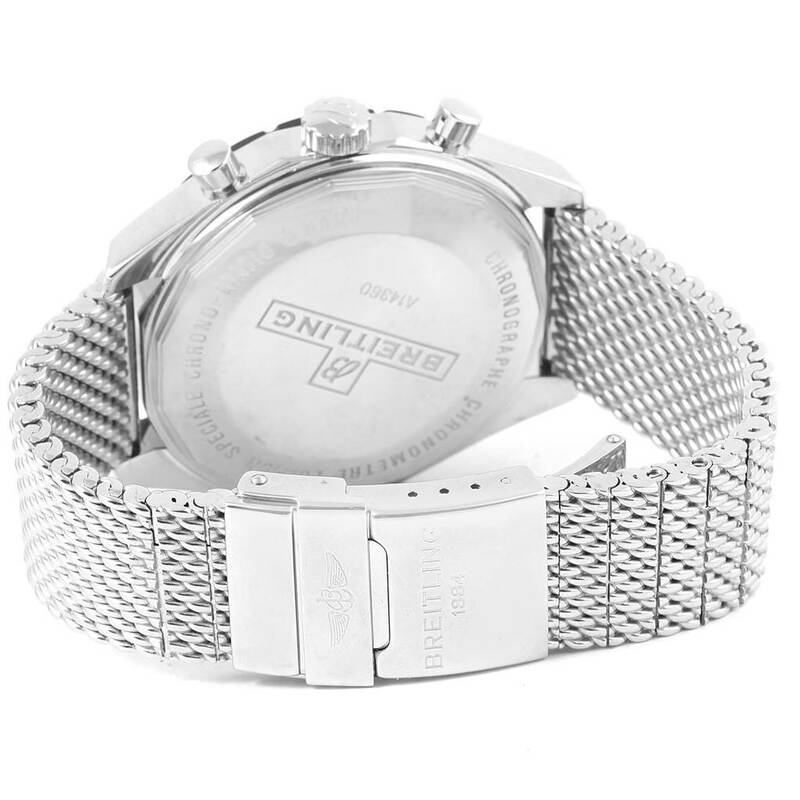 Stainless steel mesh bracelet with fold over clasp. Fits 8" wrist.